The big news in the river cruise industry wasn’t all Vikings last week: Uniworld Boutique River Cruises officially welcomed their newest vessel into the fleet in a stunning ceremony in Porto, Portugal that featured actress Andie MacDowell and singer Michael Bolton, along with Uniworld’s Wesley Bosnic, Senior Vice President of Strategic Development; and Christine Sustreanu, Managing Director of Operations. 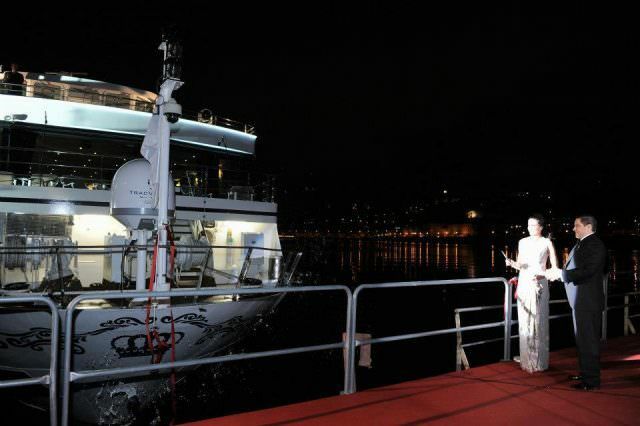 They were there to celebrate the launch of the new Queen Isabel, which takes over for the former Douro Spirit. Built by Douro Azul – Uniworld’s long-standing partner in Portugal – Queen Isabel offers a host of refined touches and unique improvements over her predecessor, and continues Uniworld’s goal of having some of the best and newest ships to sail the breathtaking Douro River Valley. MacDowell spoke of her love for Portugal and the deep honour she felt in being asked to christen the Queen Isabel before cutting the ribbon. 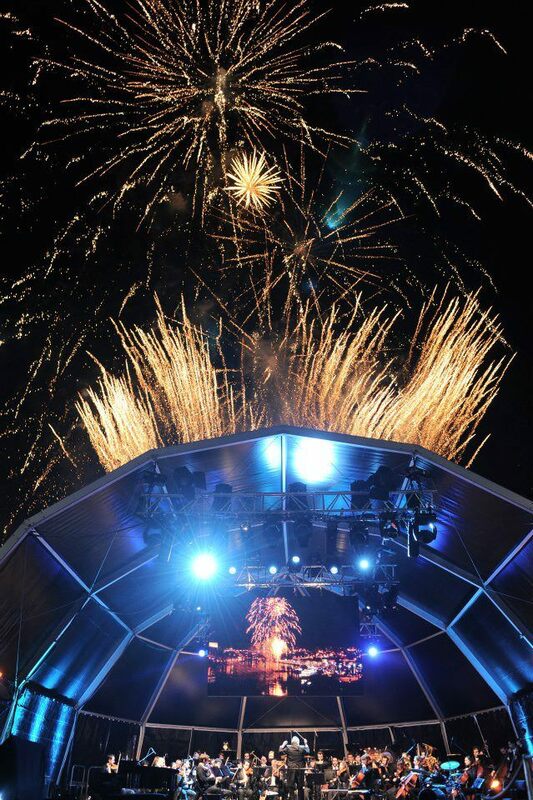 Music star Michael Bolton entertained the crowd of VIP’s and dignitaries before a spectacular fireworks show concluded the ceremonies. Wonderful too was the fact that Queen Isabel embarks on her maiden voyage in just two days with a completely sold-out ship. Capable of carrying 118 guests, her accommodations roster includes 18 Junior Suites measuring 215 square feet apiece along with two larger suites situated on Queen Isabel’s top deck that measure 323 square feet and feature full, step-out balconies. As the first images to come out of the event show, staterooms aboard Uniworld’s newest ship are elegantly appointed and reflect the unique interior décor styling’s that are so important to the line. There’s also some interesting features aboard this new vessel, including a helicopter pad and the addition of solar energy panels. “I am confident that the Queen Isabel is the most beautiful and luxurious ship on the Douro River, and it will provide the perfect retreat for our guests as they travel through this magnificent country along the breathtaking UNESCO Douro River,” states Bosnic. 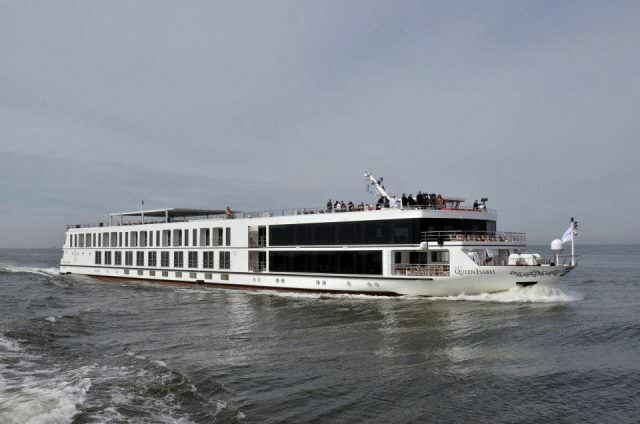 Full details on Uniworld’s brand-new Queen Isabel will be added here on River Cruise Advisor. More information on Uniworld’s full fleet and itinerary roster can be found by viewing our complete Uniworld Boutique River Cruises profile here on River Cruise Advisor.